2017 will be remembered as the year the water came. Hurricane Harvey dropped as much as 60 inches of rain on parts of Houston, shattering American meteorological records. Hurricane Irma was the strongest tropical storm ever recorded outside the Gulf of Mexico and the Caribbean Sea, and plowed through Florida in early September, turning Miami’s main drag into a raging river. And Category 4 Hurricane Maria pulverized Puerto Rico with 150-mph winds, leaving the island in darkness and ruin. Altogether, the three storms will cost the U.S. more than $200 billion, which would make 2017 the most expensive hurricane season on record. Yet there is every reason to expect that the towns and the cities hit by the hurricanes of 2017 will be rebuilt — even, eventually, devastated Puerto Rico. 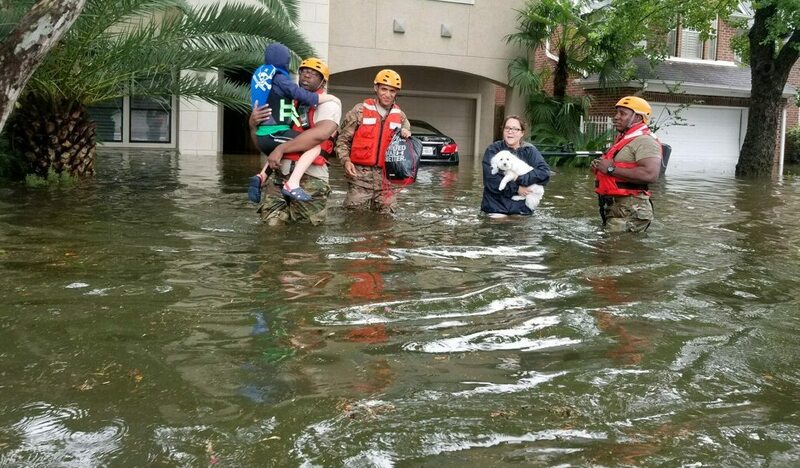 Thank the federal government — when a storm or flood strikes a community, Washington is there with generous disaster relief, either through billions of dollars in direct aid or through the cushion of federally-subsidized flood insurance plans. The confidence in the federal government’s backing keeps lenders sending money to disaster-hit communities, which encourages residents to stay put and rebuild, rather than flee for safer areas. This in turn ensures that tax money keeps flowing to local governments. That’s why New Orleans, more than 10 years after suffering through one of the worst hurricanes on record, now has a tax base twice as large as it did before Katrina, and why the South Florida city of Homestead is nearly three times as populous as it was before Hurricane Andrew flattened it in 1992. But disaster aid and insurance are meant to respond to occasional catastrophes. What will happen as the seas rise and major flooding goes from the occasional to the near constant? What will happen when climate change remakes the coastal communities where 39 percent of Americans now live? What happens when the water comes to stay? A growing number of experts fear that sea level rise and flooding will devastate coastal real estate values, which in turn could cause the U.S. housing market to suffer a crash worse than 2007-2008 financial crisis. Eventually insurers could begin to pull out of coastal markets altogether, as could lenders who fear that homes won’t be able to retain their value through the lifespan of a 30-year mortgage. Unable to get insurance to repair their repeatedly flooded properties — and tired of navigating the now constant risk of water–homeowners might end up desperate to sell, only to find that no one wants to buy. The result would be a wave of defaults — while homeowners tried to keep paying their mortgages when their homes were financially underwater during the crisis, they’re more likely to give up if their home is actually underwater. They would know that there would be no hope their flooded homes would ever regain value. We can’t say we haven’t been warned. According to Zillow’s recent report on sea level rise, in Miami alone, 30 percent of the city’s homes could be underwater — sinking over $16 billion property value. Yet that’s exactly what’s happening. Despite the warnings about sea level rise — and the object lessons of Hurricanes Harvey, Irma and Maria — coastal real estate is still hot, and the number of Americans living on the coast has increased nearly 45 percent since 1970. A recent report by Attom Data Solutions found that the riskiest 20 percent of U.S counties have the most homes, the highest average home values and the greatest price appreciation in recent years. Since the end of 2010 media home prices in and around Miami have risen 120 percent, three times the national rate. Nor is this merely a matter of sunny Floridian optimism. New York City, which is just coming off the fifth anniversary of the devastating Superstorm Sandy, has welcomed continued development along its vulnerable waterfront. Never mind that a recent study projects that within the next three decades, New York could be experiencing Sandy-like flooding every five years. “In general we underestimate the risk from sea level rise even when we can calculate it,” says David Titley, director of the Center for Solutions to Weather and Climate Risk at Penn State University and a former rear admiral in the U.S. Navy. But as a recent investigation by Bloomberg showed, many of FEMA’s maps are woefully out of date. That’s one of the reasons why less than 20 percent of Hurricane Harvey victims had flood insurance, even though the region had been repeatedly pummeled by tropical storms. Sellers may be motivated to hide past flooding on a property or community — disclosure laws vary from state to state, but the National Association of Realtors (NAR), the nation’s largest real estate trade group, says that brokers and agents should disclose “actual knowledge” of previous property flooding or flood insurance purchases to buyers. In any case, the very nature of climate change means that the past is no longer a reliable guide to future risk. 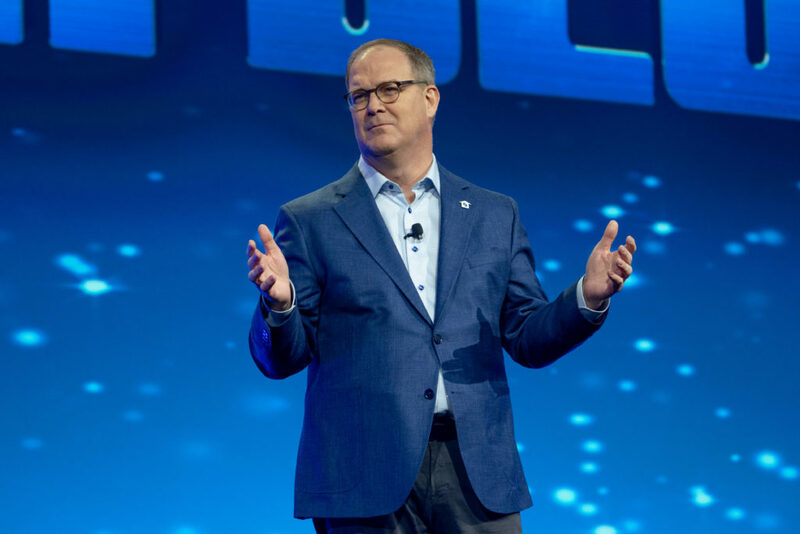 “The Realtors get paid at closing and the builders get paid at closing, but the tail risk is with the homeowner who has equity in a property,” says Golding. 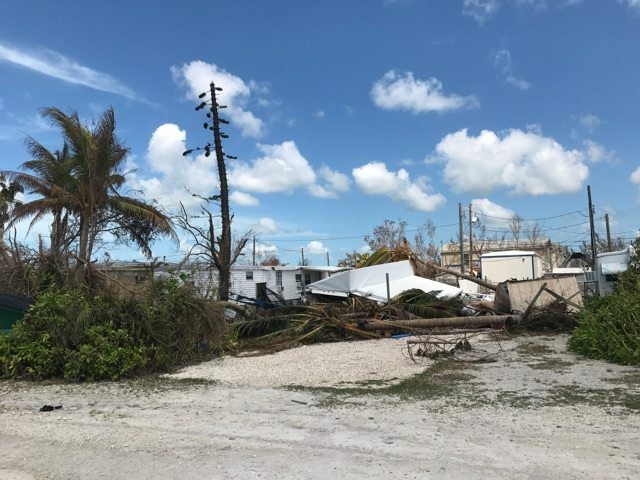 Hurricane Irma damage on Summerland Key, perhaps the hardest hit Key. Credit: Dan Chapman, USFWS. That uncertainty can put potential buyers in a bind, as Diana Goulet discovered recently. Goulet, a California-based real estate investor, came to the coastal Florida town of Fort Pierce this summer to close on a $2.5 million piece of commercial property. In the end Goulet was able to connect with Coastal Risk Consulting, a South Florida-based startup. Founded by Albert Slap, a retired environmental lawyer, and the climate scientists Leonard Berry and Brian Soden, Coastal Risk Consulting uses data from the Army Corps of Engineering and the National Oceanic and Atmospheric Administration (NOAA) to provide projections on risk from hurricanes, tides, and flooding on a property by property basis, for as little as $149 for single-family homes. The company’s report convinced Goulet that her property was safe to buy, and she went ahead and closed. But while she’s glad for the peace of mind, she wonders how ordinary buyers who lack her resources and expertise might have managed. “I don’t think individual home buyers are savvy enough to recognize the risks, let alone try to mitigate them,” she says. Firms like Coastal Risk Consulting are trying to give homeowners in vulnerable areas more information and more options around what will be the most important and valuable purchase they are likely to make in their lifetimes. Smart coastal cities will begin borrowing and spending now to pay for defenses against the sea level rise to come. This Election Day voters in Miami supported a plan to tax themselves to pay for a $400 million bond, nearly half of which will go to pay for flood and sea rise protection. 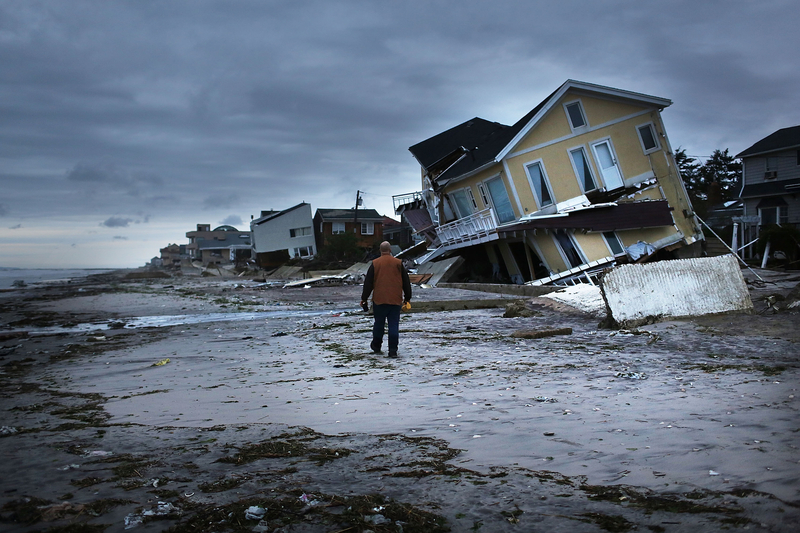 New York has a $20 billion plan in place that mixes recovery from Superstorm Sandy with infrastructure upgrades designed to protect the city’s nearly 600-mile long coastline from sea level rise and storms. Other coastal cities would be wise to follow those examples — soon. Credit ratings giant Moody’s made headlines last month when it released a report saying it will begin downgrading municipal bonds — which cities sell to investors to raise money — in places vulnerable to the effects of climate change, but not adequately addressing the risks. Moody’s cited Texas, Florida, Georgia and Mississippi as examples, but did not call out specific municipalities. And as Henry Grabar pointed out recently in Slate, right now coastal cities like Miami can borrow money at low rates because lenders don’t seem to be worried that sea level rise and flooding will impinge on their ability to pay back those loans. If cities aren’t smart enough to take advantage of those rates to build up their defenses, their future could end up looking like Detroit’s — broke and too poor a credit risk to borrow enough to protect themselves from threats that worsen every day. But even if richer cities can try to spend enough to protect themselves, that will still leave countless poorer communities in harm’s way. 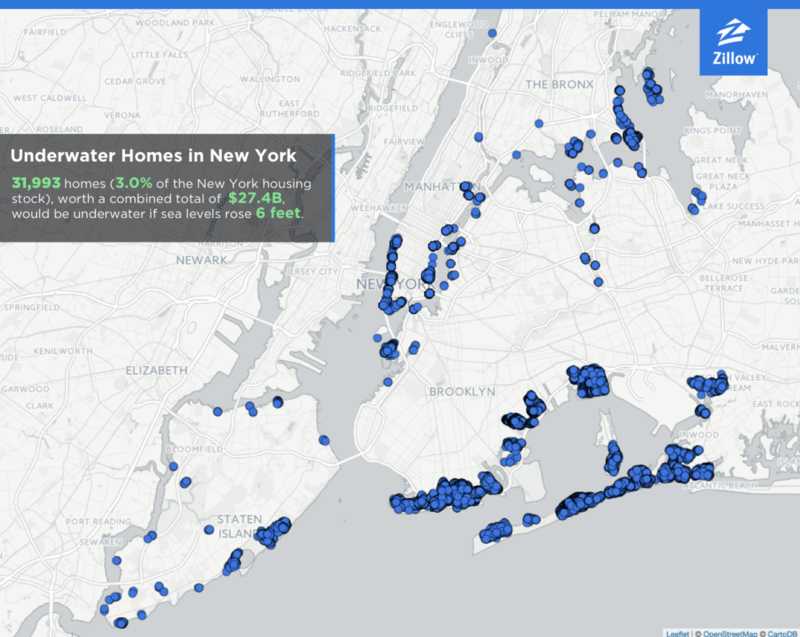 The Zillow study that looked at sea level rise found that a third of the homes that would be underwater by 2100 would be valued in the bottom third nationally. These are homes in often sprawling suburban and rural communities that lack the tax base now to pay for meaningful sea level rise defenses — let alone after constant flooding eats away at property values. “You can easily use up every municipal budget doing the upgrades that need to be done,” says Stoddard, the mayor of South Miami. These are the homes that will wash away — and with them, the equity and dreams of hundreds of thousands of Americans. It’s worth noting that in Florida, median home prices with the highest flood risk have risen more slowly over the past five years than those in cities with the lowest flood risk. But for now, the draw of the sun and the ocean will be enough to keep Americans living on the coast — and keep attracting more of them. While mortgages may be for 30 years, the average home buyer only stays put for 13 years, which means that even if a homeowner is aware of the coming risk from sea level rise, they may believe they’ll have moved on by the time the water comes. But even if that’s true, the risk is merely being moved around, a shell game with the multi-trillion dollar housing market. “It’s this slow moving disaster,” says Cynthia McHale, the director of insurance at Ceres, a sustainability nonprofit that works with investors. “No want wants to be left holding the bag. They want to party up until the ball drops on midnight.” But all indications are the party is coming to an end — soon.